Based on candid interviews with funding partners and thought leaders, this report touches upon key issues to help us analyze our grantmaking strategies. 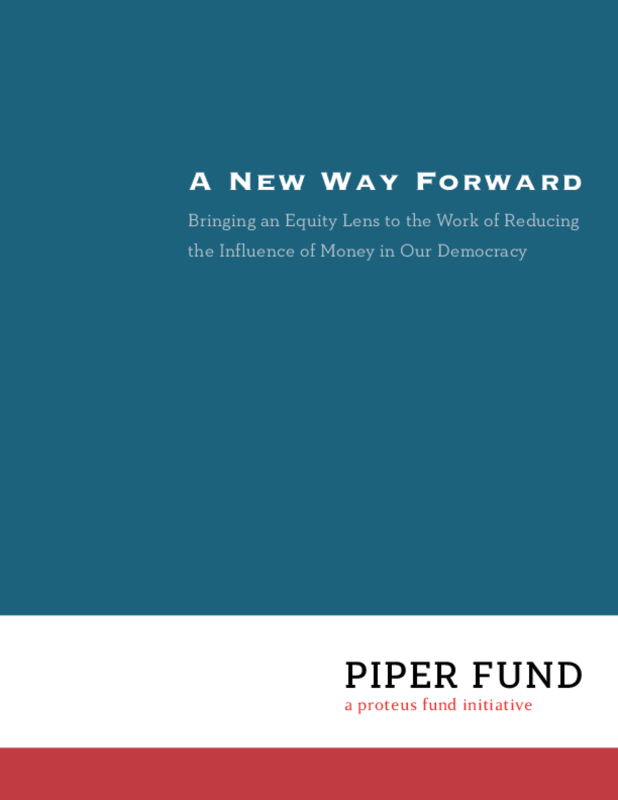 How does our definition of "winning" fit in a broader democracy reform agenda? How do we authentically connect with communities of color to develop a new framework of equity, diversity, and inclusion? How do we build effective collaborative relationships towards victory, without losing sight of long-term capacity and infrastructure needs?